For us, an island escape means 2 things: romance and a back-to-basics lifestyle. Matemwe Lodge in the northeast corner of Zanzibar encapsulates both perfectly – think hammocks, beach walks and great diving; forget televisions, telephones and crowds. 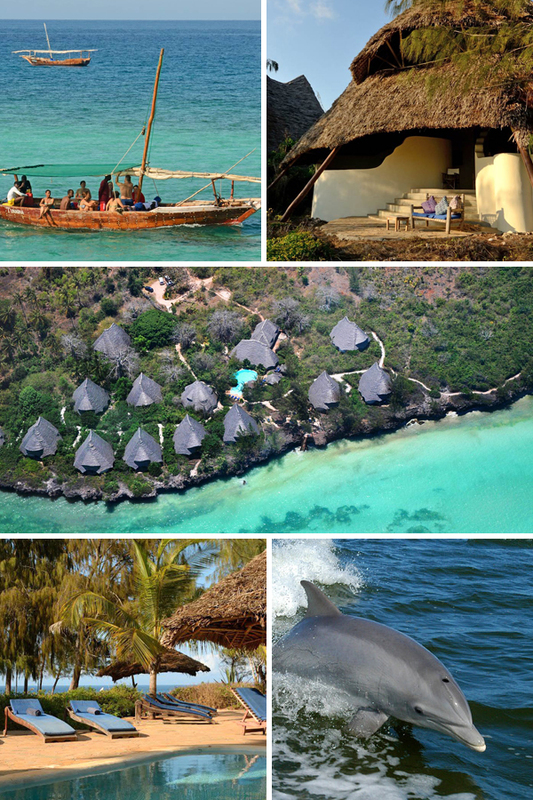 The hotel has its own dhow, so head out onto the water to spot dolphins and perhaps even whales, before returning to fresh-from-the-ocean lobster and tuna at the beachside restaurant. Top tip: If you want to go snorkelling or diving, don’t leave it until your last day in case the conditions aren’t right. Even if the weather looks gorgeous from the hotel, it can often be too rocky out at the atoll. There are few word pairings that provoke more wanderlust than ‘private island’. This tiny strip of woodland and sandbank a mile off Stone Town goes a long way to explaining why. 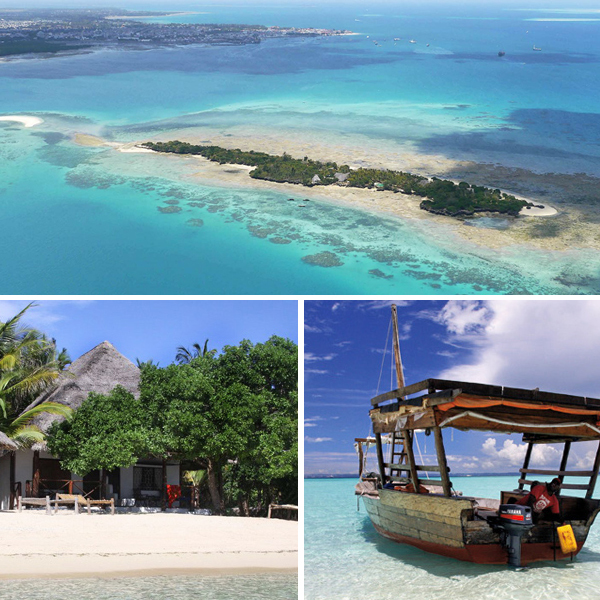 It’s only a 15-minute shuttle boat from Zanzibar’s bustling capital, so you can easily combine city exploring with lashings of indulgence at its small cluster of beachside bungalows. Top tip: Borrow a canoe and paddle around the island; at low tide you can spot starfish hidden in the coral reef and find small pools rich in marine life. It would be criminal to neglect the world-class diving and snorkelling at Fumba Beach Lodge, but it has plenty to offer before you so much as dip a toe in the sea. 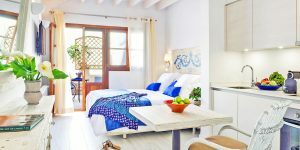 Choose between Swedish and aromatherapy massages at the Baobab Spa, enjoy a glass of wine in the tree-top Jacuzzi, and indulge in fresh tapas at the gorgeous beach bar. 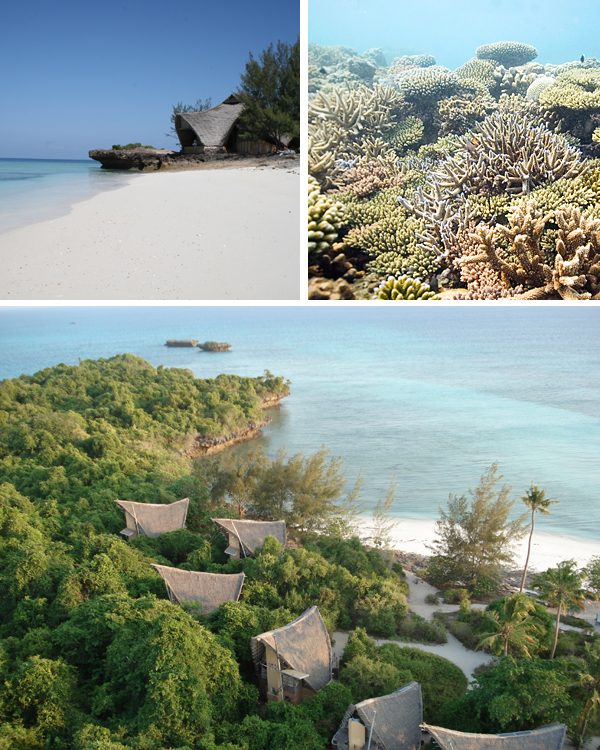 When the draw of the ocean becomes too strong to resist, you’re within easy reach of the pristine Ukombe coral reef. Top tip: Our picnic boat trip to the nearby islands was a real treat – sailing on the hotel’s dhow, snorkelling on the coral reef and then relaxing on a deserted beach. Sat atop huge reed mats, we enjoyed a delicious barbecue with chilled wine and Kilimanjaro beer. The 12 thatched cottages at Unguja Lodge blur the line between indulgent villa and the great outdoors, but they’re no less luxurious for it. Each curvy, cosy hideaway is tucked into its own secluded space, either in the gardens or looking out to sea, and all have terraces where you can enjoy the sunrise or sunset. There’s also a bougainvillea-fringed swimming pool to laze by. Top tip: Go on a night dive, starting at dusk as the call to prayer echoes from the nearby mosque. Magical. 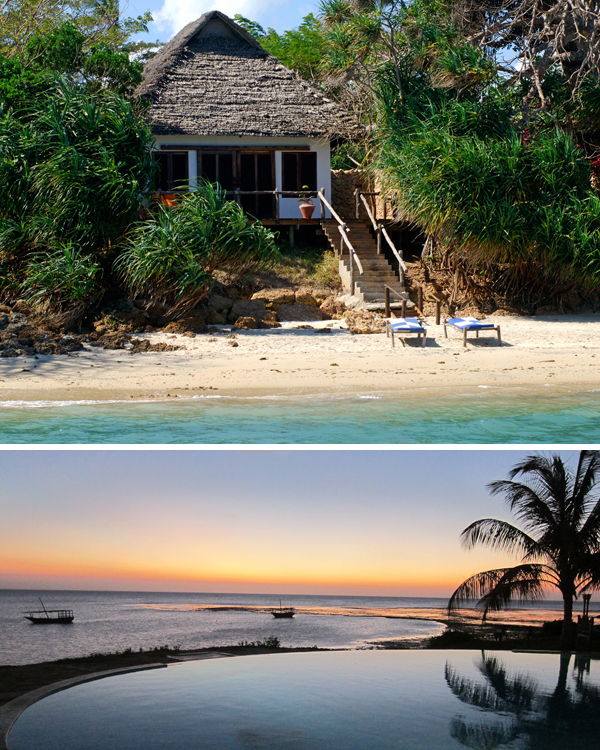 The first surprise at Chumbe is its charming rustic beauty; the second is that it was born from an army-owned island of dilapidated buildings. There’s little trace of its military past, and the rocky islet is now home to a spattering of thatched bandas built entirely from local wood. In fact, the resort has superb eco-credentials all round, and it’s surrounded by an exquisite marine reserve that encompasses one of the most beautiful coral parks in the world. Top tip: A family of huge coconut crabs, each the size of a large plate, lives on the island. This rare species can climb palm trees and break open coconuts with powerful pincers. They come out night, and staff will direct you to viewing spots. 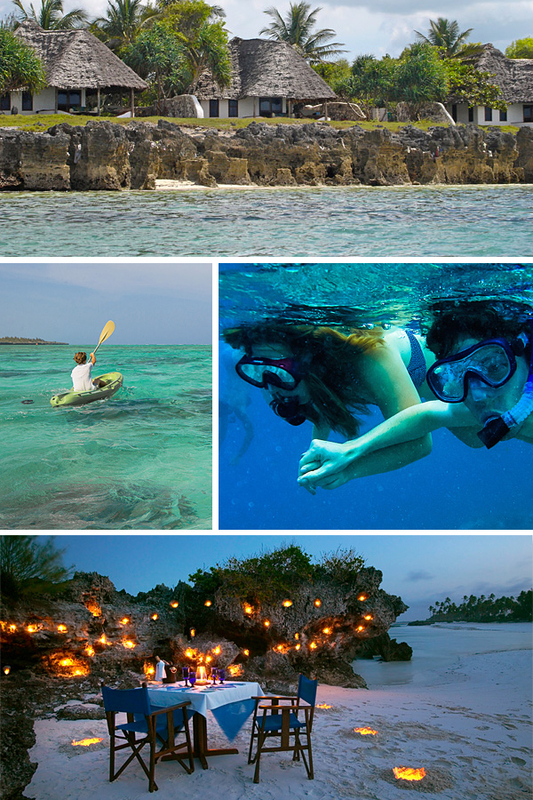 Check out all of our boutique hotels in Zanzibar.